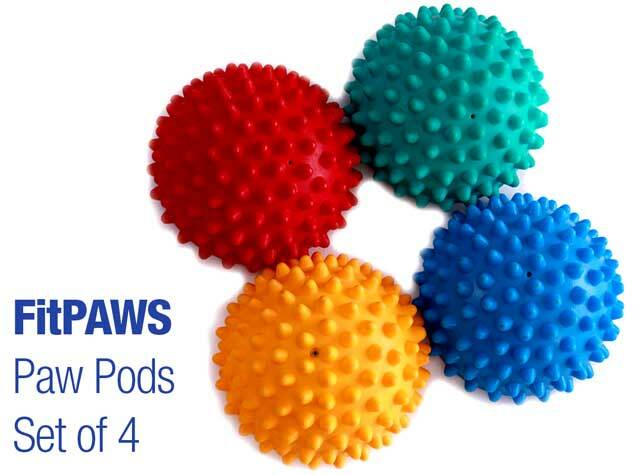 FitPAWS Paw Pods help improve body awareness, strengthen core muscles and alleviate feet-touching phobias. Set of four, 5″ balance pods with inflation adjustment capability. Pump not included. Purchase includes coupon for $5 Off Tripawds E-books! NOTE: Shipping is included in price, but additional freight charges may apply for shipping to Alaska, Hawaii, or remote/rural addresses. 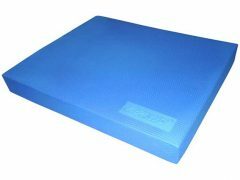 If applicable, customers will be notified of additional cost prior to delivery. 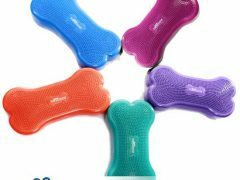 Improve your Tripawd’s balance and weight bearing issues while having fun with this set of four, 5″ balance pods. Use one, two or all three for a strengthening session that’s enjoyable for both of you. 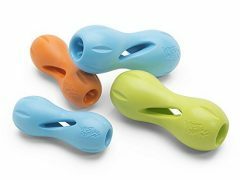 Like FitPAWS other gear, the Paw Pods help improve your dog’s proprioception (body awareness) and balance. 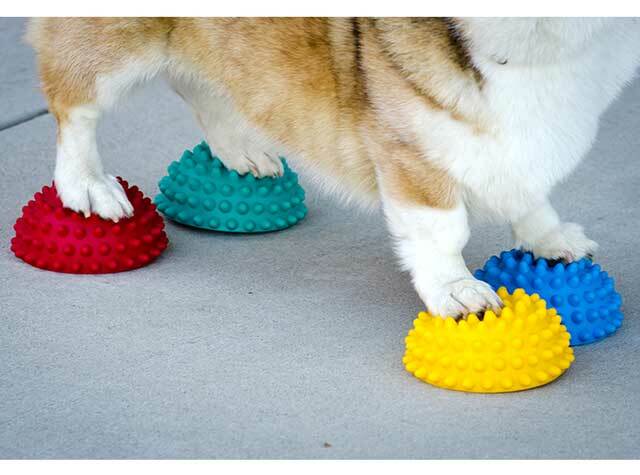 Paw Pods can be arranged with flat side down for more stabilization or flat side up to increase the balance challenge. 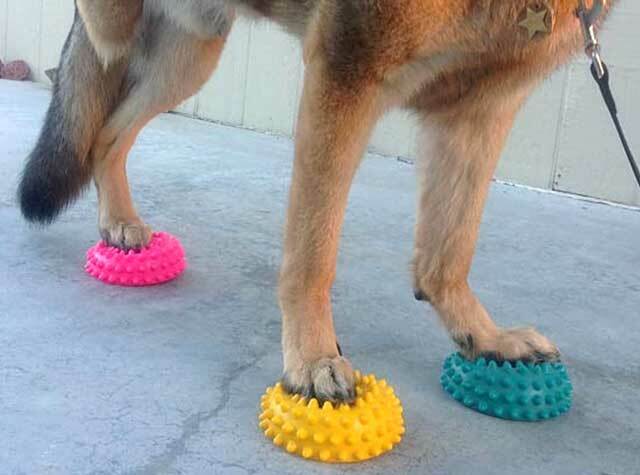 Five inch diameter balance pods are perfect for all sizes of dog paws. Adjust the inflation level to alter the dynamic balance challenge. 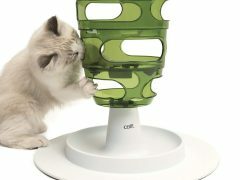 Air pump not included. 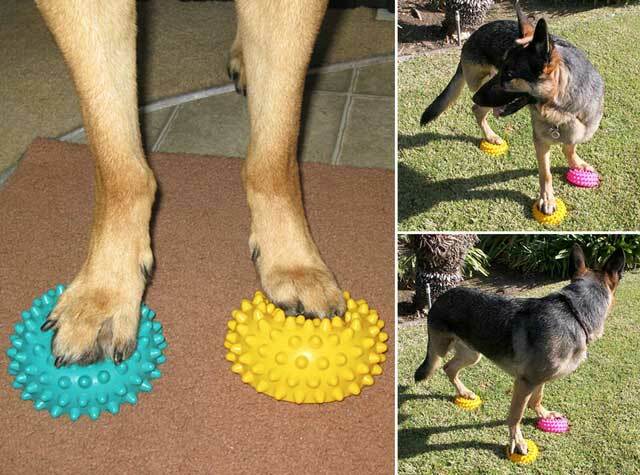 Be the first to review “FitPAWS Dog Balance Paw Pods” Click here to cancel reply.